You can come to this restaurant after visiting Mendonca Building. Chinese cuisine can be tasted here. Many guests come to try good almond cookies and nicely cooked rice cakes. New Lin Fong has great tea among its drinks. The Yelp rating for this place is 4.5. 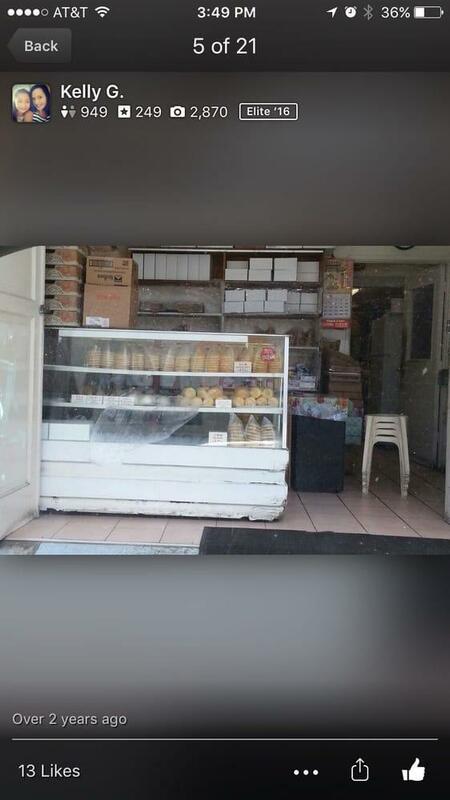 Been wanting to try this shop for a long time but it would always be closed by the time I made it to their shop. Arrived here early this time around and got a bag of their almond and tea cookies. I couldn't wait to try my goodies. They were so fresh and delicious! I'll be back again! The best t-cookies and the most delicious Chinese rice cake on the planet. 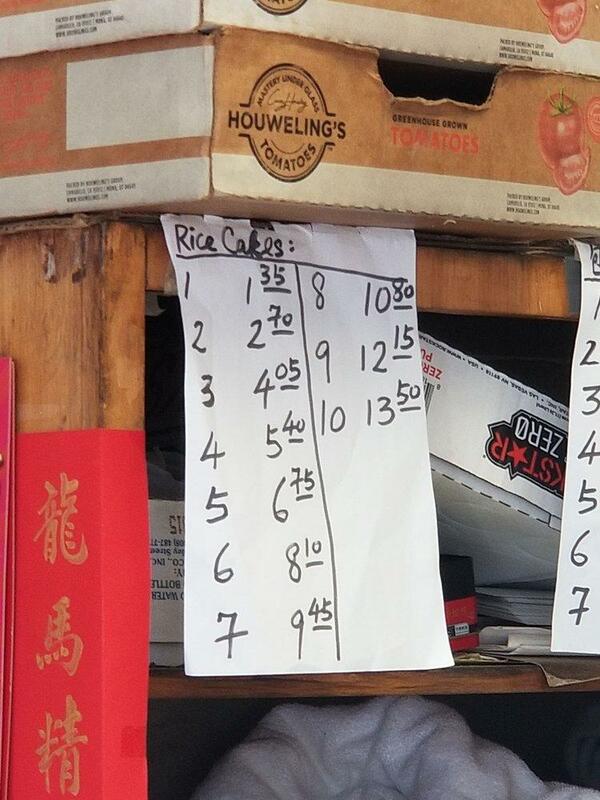 Very reliable, put your order in for the Chinese rice cake(1pan or half a pan) it will be ready for pickup. "New" is subjective. 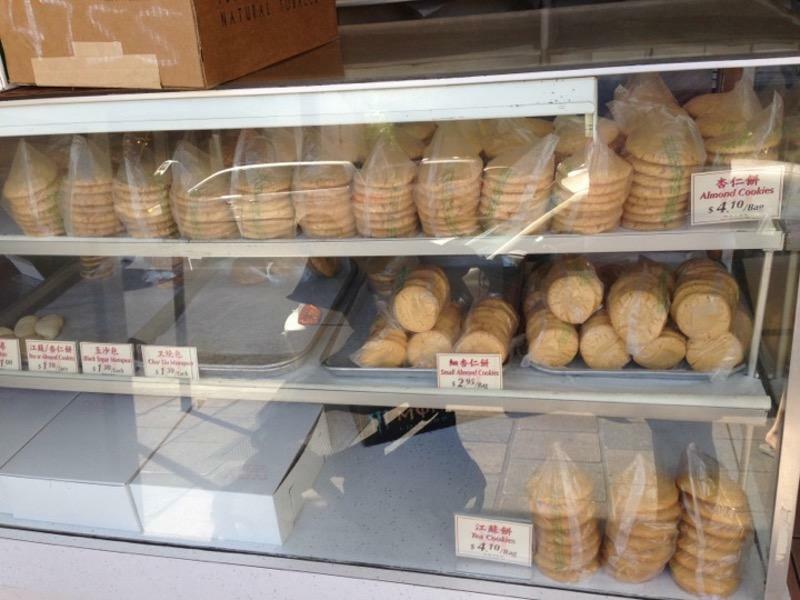 For decades the go to spot for almond cookies, tea cookies, and rice cakes. Addressing the elephant in the room, yes, this was involved with the HepA outbreak in 2016. That's in the past. 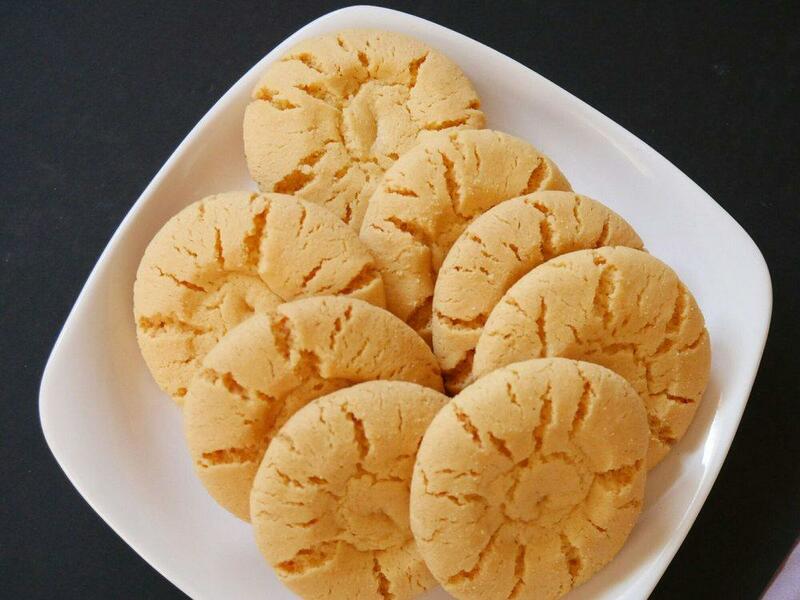 - Almond Cookies, an adaptation of the Chinese walnut cookie with its heavy use of lard and natural almond extract. Crumbly, with a pleasant almond aroma and flavor throughout. Simply the best. - Tea Cookies (Kong Sui Ban) made the right way. Using wong tong AKA Chinese brown sugar that gives the finished cookie its unique flavor, syrupy but less intense molasses than its American counterpart. 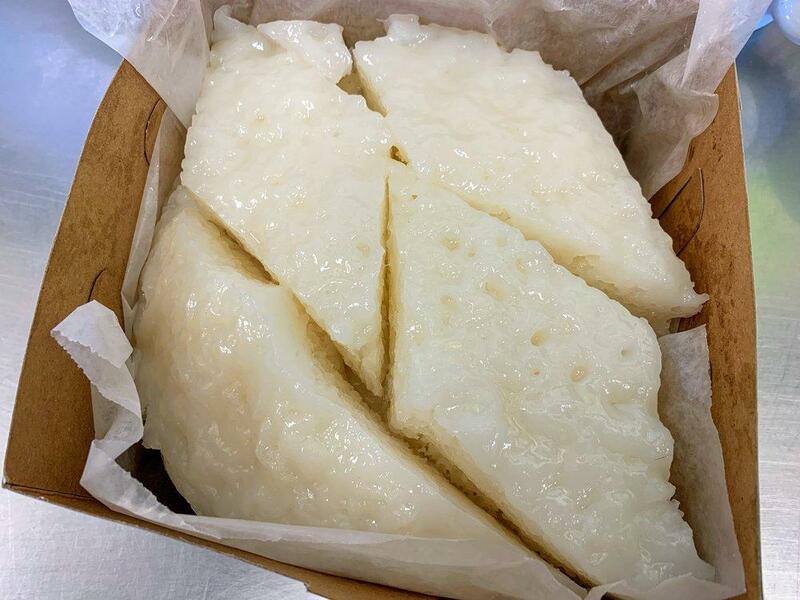 - Rice Cake (Bai Tang Gao), outstanding. Lightly sweetened, obvious rice flavor with the requisite fermented notes. Obviously made the old fashion way, allowing natural fermentation to occour without the addition of yeast which alters the flavor. Beautiful air pockets and toothsome texture. Finally, steamed buns (thank you Paul C). Freshly made, good gluten with a gently sweet, fermented flavor and aroma. Re-steam them for 30 seconds if not used within a few hours with no effect on quality. Ready for your home made, cherry wood roasted Peking duck or "modern" pork belly bao. 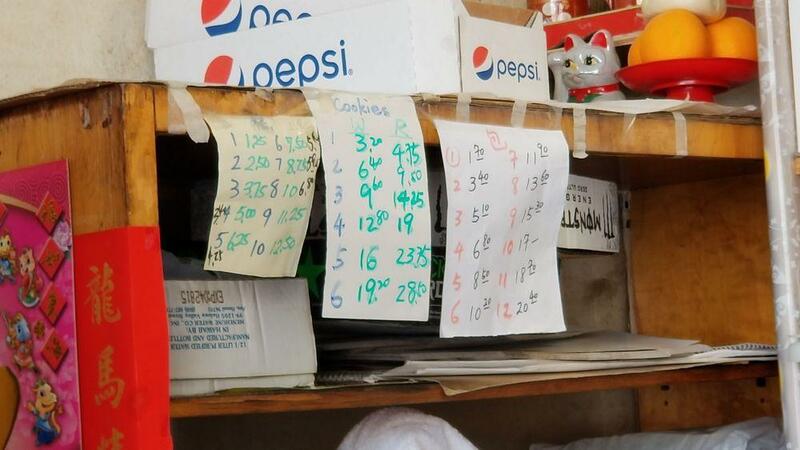 Tip: Order in advance for large quantities. English spoken. Yet another piece of Hawaii's culinary history well worth a visit.